It’s pretty rare to meet someone who’s known their calling from a young age. Yu Hsuan Cheng is a Kaohsiung boy who first taught himself how to make chocolate during college. His passion took him to France for 18 months where he learned from the best. But his heart brought him back to Taiwan. 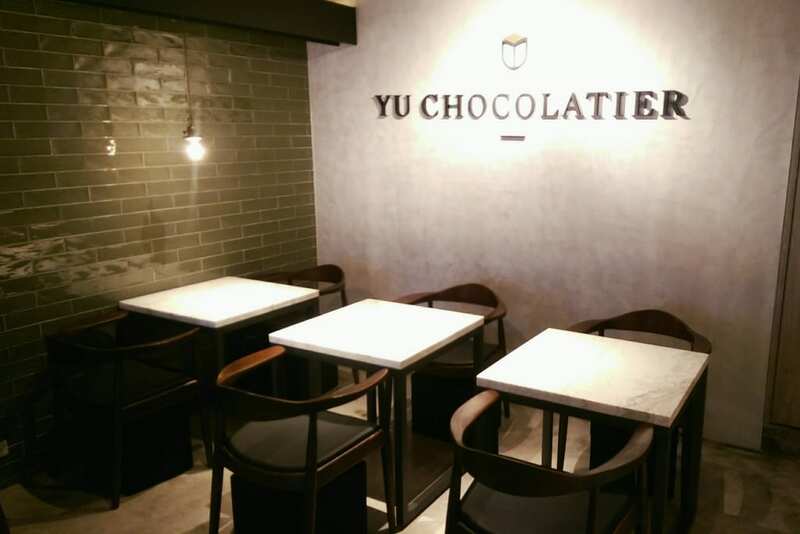 This year, on Valentine’s Day, he opened Yu Chocolatier in Taipei’s Daan District. 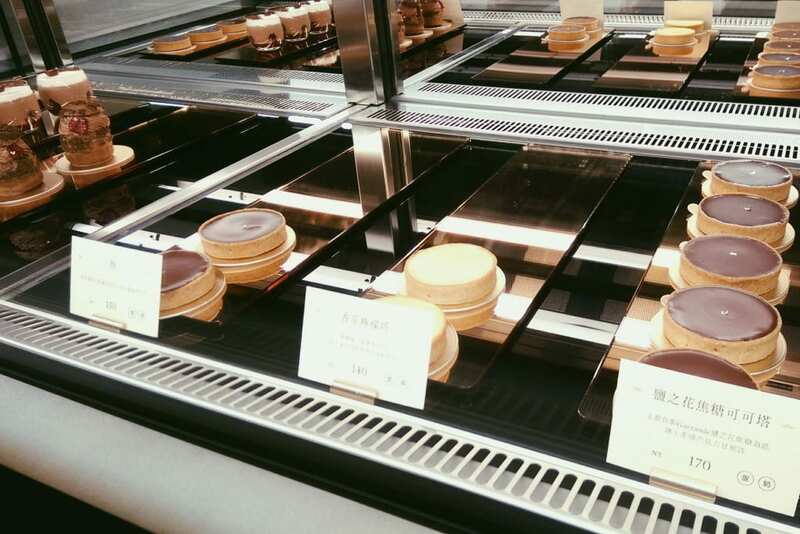 There are only eight seats in this narrow storefront that’s quickly becoming known as Taipei’s premier chocolate shop. Fans come from throughout Taiwan and around Asia to taste the creations of this talented and tenacious young man. When I visited recently on a weekday afternoon, a young girl from Hong Kong was savoring sweets by herself…smart girl. 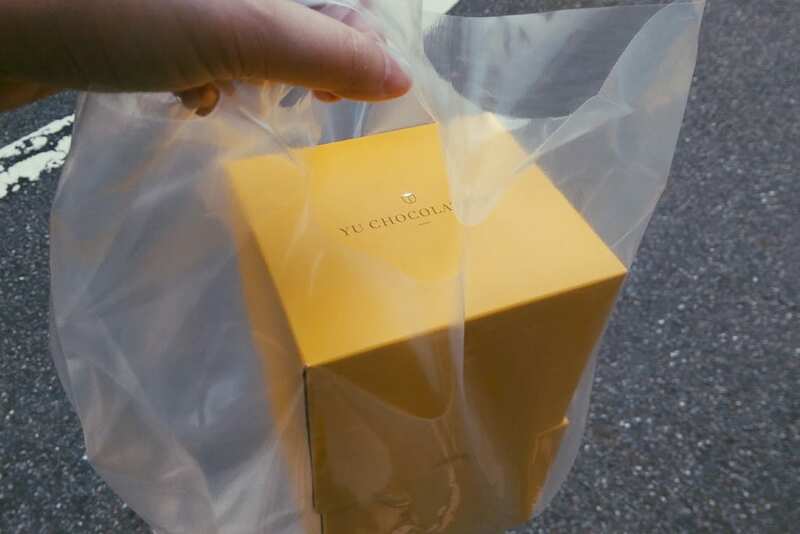 First, I have to point out that at Yu Chocolatier, you can order liquor to go with your chocolate. On the shelf sits the award-winning Kavalan cherry cask whiskey, among others. This, my friends, is innovation. 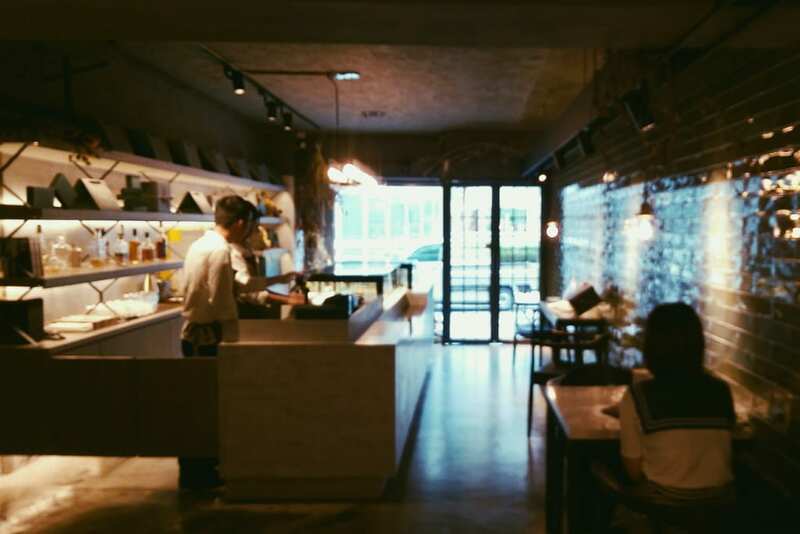 Yu, the chef and owner, is happy to share the long journey of how he got here. In college, where he studied English literature, of all things, a friend gave Yu a few pieces of chocolate from the French chocolatier, La Maison du Chocolat. He bit into a piece of dark chocolate and that was the moment he had his epiphany. Chocolate was infinitely more complex that he had ever imagined. He then spent two years working with just four ingredients: cocoa, cream, butter and sugar. Nothing else. He was trying to achieve the same magical taste he experienced in that first bite. The week before he was due to be shipped off for military service — he managed to crack it. 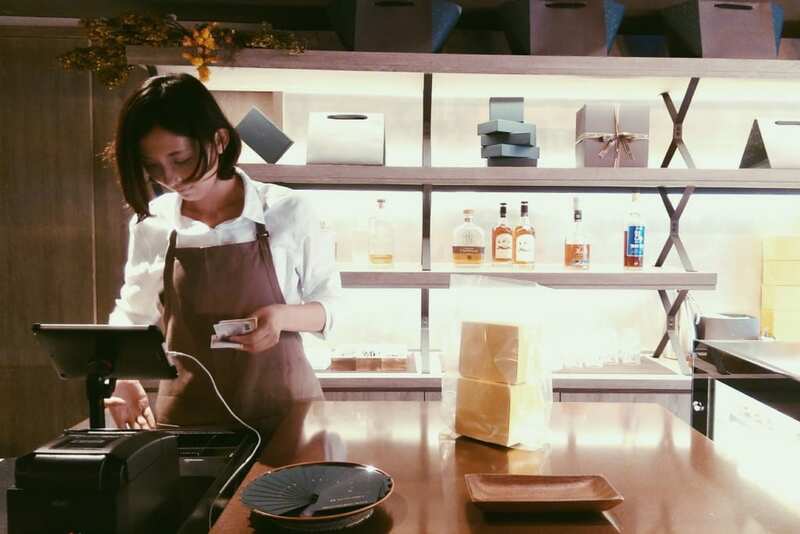 At 24, Yu went to France to focus on classic technique. He enrolled in an intensive, six-month pastry course and completed two internships in Paris. But what he gained was a lot more meaningful. His mindset was forever changed. 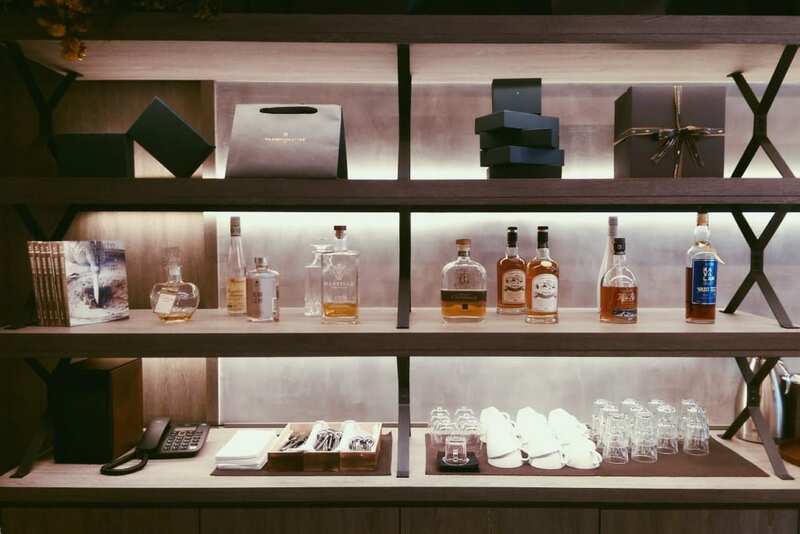 In his spare time, Yu traveled throughout France, including to Cognac, where he learned about the origins of the liqueur and why it matches so well with chocolate. After 18 months, he decided to come back to Taiwan. “I understood France better than I knew my homeland. That confused me. I decided to make a link between my French skills and mindset, with my own culture,” he said. Upon his return, a high school friend from Kaohsiung called him up. “If you’re opening a shop, I’ll come help you,” his friend said. Today, that same high school friend manages the Yu Chocolatier shop, allowing Yu to work on his craft. 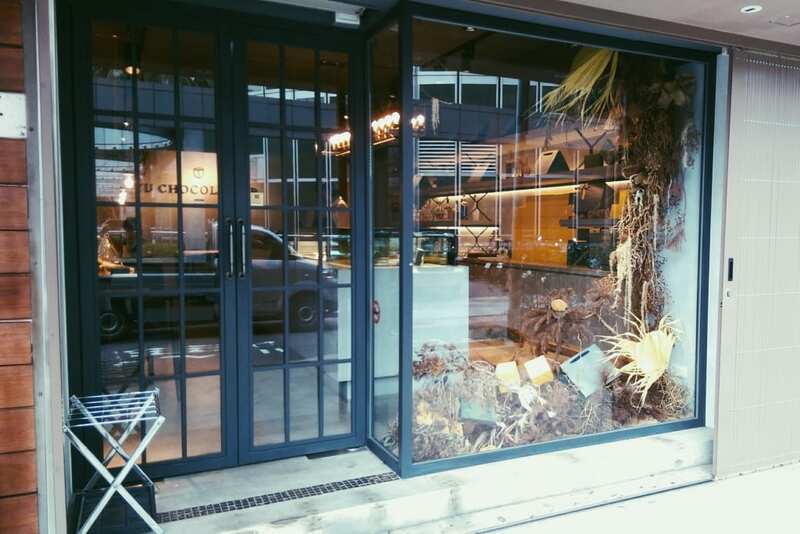 Yu decided he didn’t want to open a classic French chocolate shop. 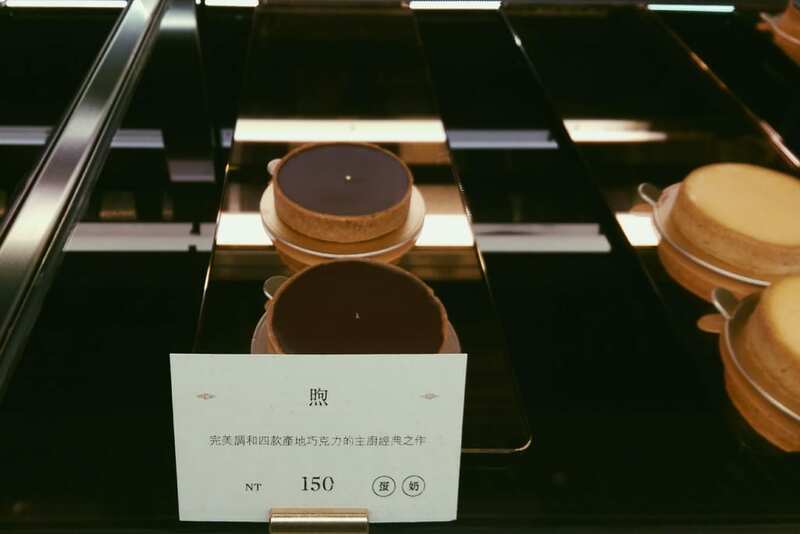 Inspired by how modern French patisseries are less romantic and more subtle, the atmosphere at Yu Chocolatier is designed to be approachable, uncluttered and minimalist. 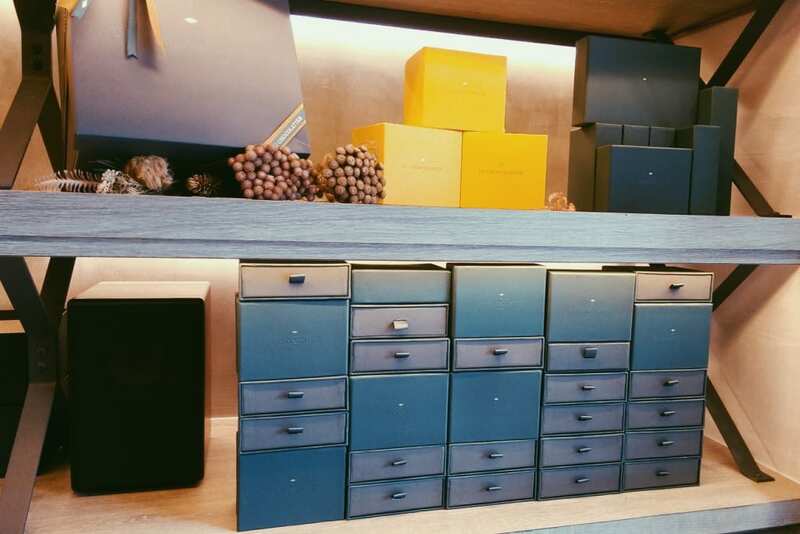 Planning for the shop’s interior design took five months. This was a painstakingly long time considering Taipei storefronts typically take just a few days to renovate and reopen. But Yu being Yu, the details mattered. The green tiled wall was the very first thing to go up. Why green? Because his name “yu” means a field that’s been rested for two years. It’s fertile and ready to grow. The logo and packaging were created by the husband-and-wife design team at By Associates. The husband is German and had lived in Paris. The wife is from Tainan, where Yu was born. They had both worked in London before settling back in Taiwan. Their eclectic background meant an innate understanding of Yu’s vision for his brand. “It was perfect. These are the guys,” he remembered feeling upon meeting them. 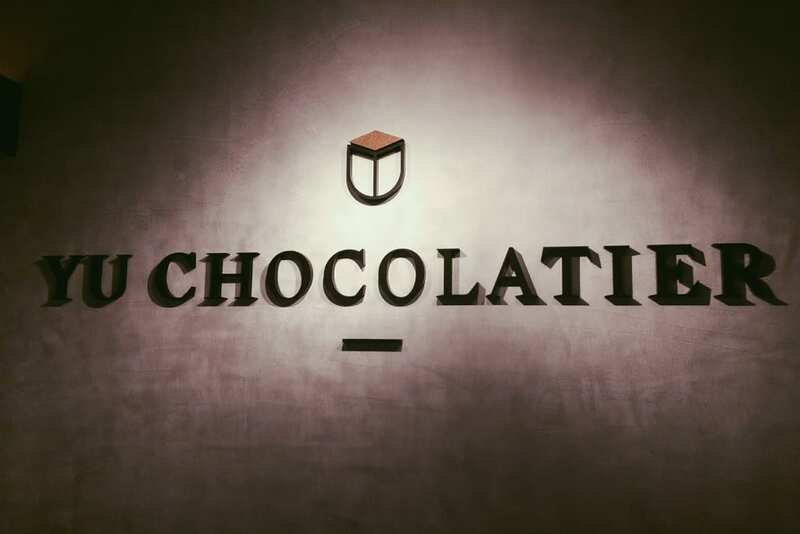 The brand identity project took two months, with the chocolate boxes arriving the day before the store opened on Valentine’s Day, 2015. Two hundred people showed up on day one. 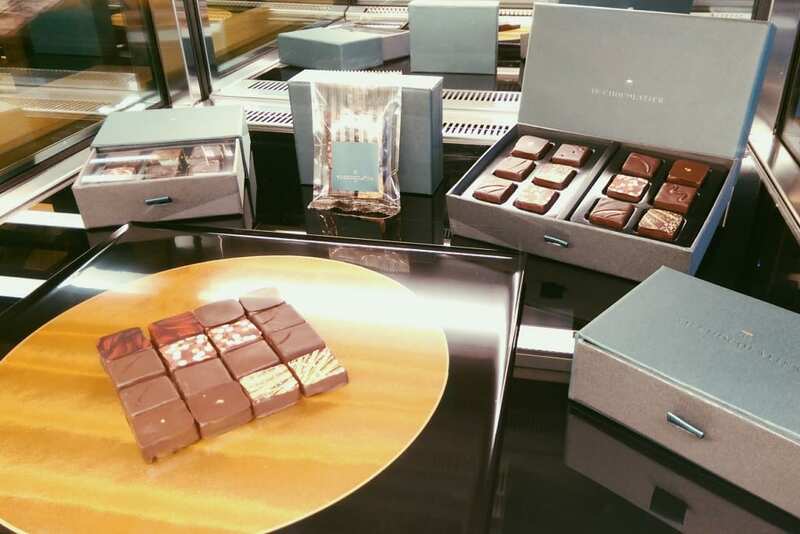 Word quickly spread about the 27-year-old, French-trained chocolatier making world-class bonbons in an alley behind Renai Road. 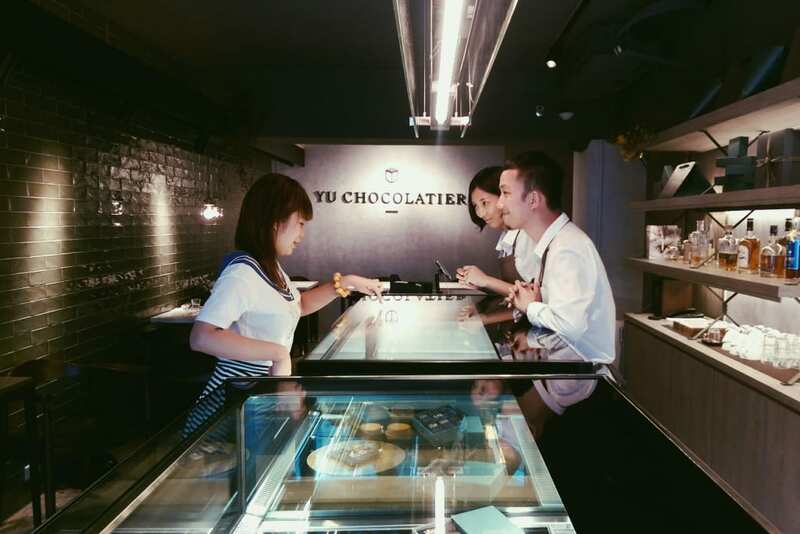 His intense standards have raised the bar higher than any other chocolate shop in Taipei. But he won’t stop here. His goal is to one day go back to Paris and open a chocolate boutique. One that represents the flavors of Asia. – The “Yu” chocolate. It’s an evolution of the original chocolate he spent two years developing. If you’re not familiar with complex-flavored chocolates (like me), this dark little square will blow your mind and spoil you for life. – The chocolate with ganache of sherry cask whiskey and smoked longan fruit. There are three notes of smokiness in this chocolate — from the chocolate itself, from the whiskey and from the longan. – The ginger raspberry chocolate. Yu admits it’s a strange combination, but one that works. The ginger he uses is a Taiwanese bamboo ginger. 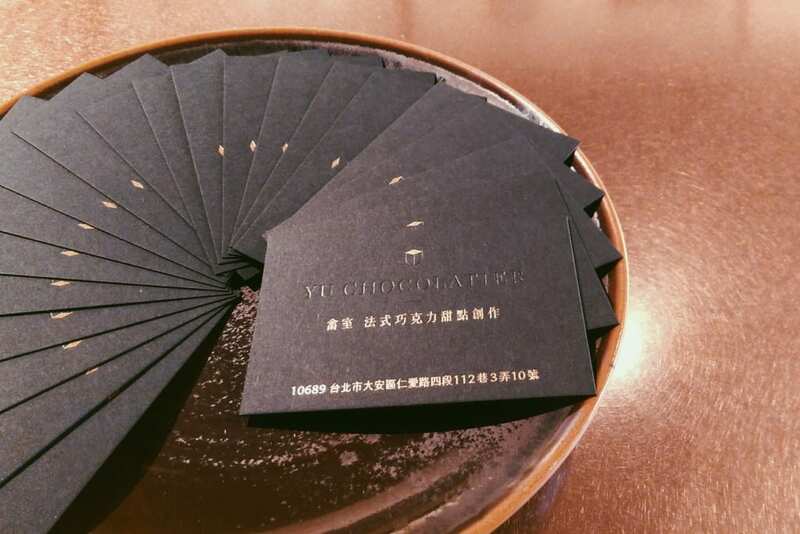 – The oolong tea chocolate. Yu said it was especially difficult to develop. Water is needed to bring out the aromas of the tea, but at the same time needs to be minimized so not to affect the consistency of the chocolate. – The marinated plum chocolate. Made by his business partner’s mother, the plums have been marinated for 10 years in a mixture of wine, vinegar and malt sugar. – The chocolate tart, which has become the shop’s signature pastry. 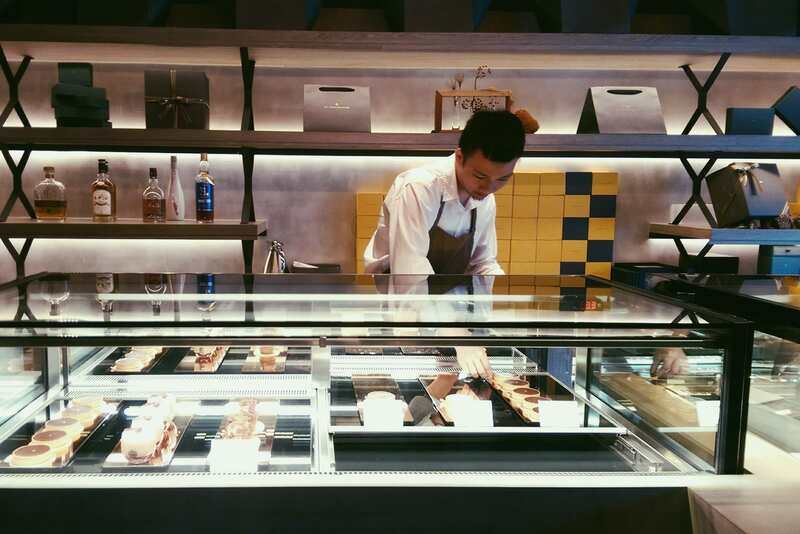 He makes six kinds of chocolate tart and also a lemon tart. Before I left, I purchased both chocolate and lemon tarts. At 150NT and 140NT each, they’re a very affordable little luxury.